Tamzin has been working for Mortgage Required since 2015. 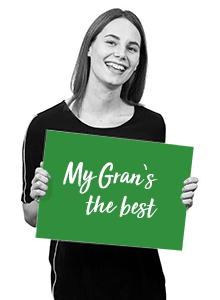 Initially working as an administrator she now helps clients find the correct protection for their mortgages, keeping both themselves and their families safe and secure. A. I wanted to do makeup for horror movies. A. I ran over to my Gran to hug her but when I looked up it wasn't her. I was so young and embarrassed that I pretended I did it on purpose. A. Can't remember the first I bought but I owned Britney even though I didn't like her.